Ronald Reagan Washington National - Cancun Intl. 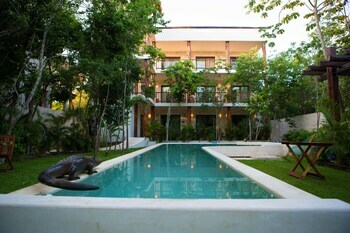 Elements Boutique hotel was lovely. 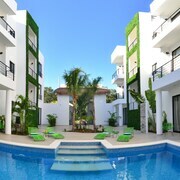 It's in the heart of Tulum and is walking distance to a large super market, and tons of delicious places to shop and eat. The staff was amazing, and the rooms were great. I love this hotel , best food ever , best location , wonderful staff ,very very clean , and beautiful view . cant wait to next time i go there !!! Travel is the best thing you can spend your paycheck on, but cheaper is always better! 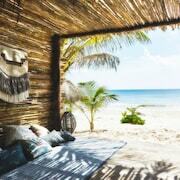 Isn't it time you shouted yourself a penny-pinching vacation to Tulum? 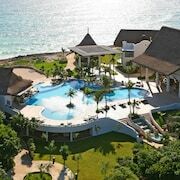 It's situated in Riviera Maya, 40 miles from Playa del Carmen. 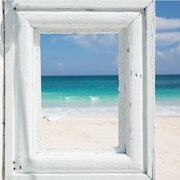 Visitors to this part of Riviera Maya rub shoulders with about 8,000 residents. 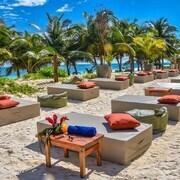 Tulum National Park is a fantastic spot if you need to stretch those legs and breathe in some fresh air. There's nothing better than surrounding yourself with nature! Here at CheapTickets, you won't have to fret about bagging the lowest price. We've figured it out for you, and we haven't compromised on quality for flights, accommodations and memorable experiences. With access to 500 airline partners and more than 500,000 properties around the world, you can be sure that we'll offer you the hottest deals around. And it doesn't stop there! If you combine your hotel and flight bookings, you can save up to $481. You come to CheapTickets for the best prices, and we make sure you get your hands on them with our Price Guarantee. If you discover your vacation package for a better price on another site within 48 hours of booking, we'll refund the difference. What could be more thrilling than scoring the cheapest deal possible? A cheap deal plus rewards! With our rewards program, you'll be able to get dollars off your next eligible CheapTickets hotel just by booking a flight. Using our CheapCash loyalty program couldn't get any simpler. Sign up for a new account (for free!) or log in to your existing one, and you'll be able to save on all eligible bookings, as well as getting the inside intel on other thrifty bonus offers and super-scrimpy perks! Listen up, cheapster. We're about to make your travels not only economical, but way easier. Rather than having to carry your luggage in and out of taxis during your Tulum stay, how about renting a car? There'll be heaps of space for your cases, and it'll be easy on your budget too! It's good to know that you can rent a car not far from the city center. At Carretera Cancun Tulum Boca Paila Km7, Hertz will get you driving around in no time. Mex Rent A Car is another car rental outlet that you could use. It can be located at Av. 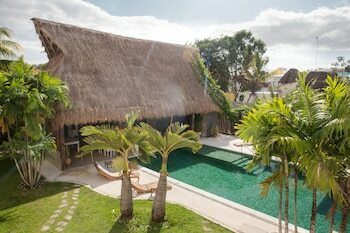 Coba Sur Mz 27 L 22 Loc 13, Tulum Qr, 77780, just 3 miles from the middle of the city. The sooner you book your cheaptastic lodgings, the sooner you can begin to organize all your fun activities. 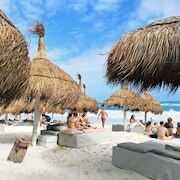 With no less than 108 hotels in Tulum, CheapTickets has all the info you need to book today. Do you believe a dollar is better in your pocket than in somebody else's? 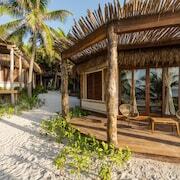 Then take a look at some of our budget options, such as the Tubo Tulum Hostel and the Harmony Glamping Tulum.